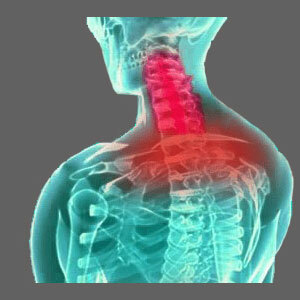 A spinal stenosis flare up can escalate the heights of misery to levels never previously even imaged. Pain, neurological symptoms, incontinence and utter disability are all common consequences of a severe flare up. Patients often want to know what causes these acute episodes of symptomatic activity, so that they can be more proactive in avoiding damaging scenarios in the future. Unfortunately, there are no universal circumstances that cause flare ups to occur. However, there are a variety of typical scenarios that have been reported by a great number of affected patients. This article discusses the potential causes of acute spinal stenosis pain, as well as detailing the terrible mind and body effects of the worst symptomatic events. Flare ups are common in many back and neck pain diagnoses. In essence, a flare up describes a period of time in which symptoms worsen exponentially. These events often happen suddenly, without warning and sometimes, without any logical just cause. Other times, flare ups may begin gradually and may be attributable to particular causative circumstances. Flare ups are the most commonly cited reasons for patients, with any type of chronic back or neck pain, to seek professional help. Emergency room visits are commonplace, with most patients seeking traditional medical attention from their local hospital or clinic. Other patients might choose to forgo these typically less-than-fulfilling therapies in favor of alternative treatment from a complementary caregiver, such as a chiropractor. All told, acute flare ups account for a significant percentage of patient visits to a primary, secondary or alternative healthcare provider. To summarize, if you have a history of a particular type of pain and the symptoms get worse, you might be having a flare up. 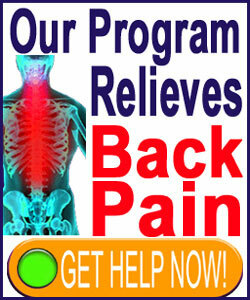 Known or unknown back injury can certainly cause a flare up of symptoms. Typical injurious events might include falls, blunt traumas, over-exertions and aggressive treatment attempts, such as those sometimes used in chiropractic or spinal surgery. Continued degeneration of the spinal structures might increase the degree of stenosis and therefore, escalate the effects. Remember, spinal structure deterioration continues for life and there is no way to cure or reverse these natural processes. Pharmaceutical products might cause side effects that can exacerbate many back and neck pain conditions, including central spinal stenosis. Drugs can cause muscular tensioning or laxity. Both of these conditions can throw off the balance of the spinal column and might be responsible for contributing to a decrease in central canal patency, if the vertebral alignment changes. Stress can also cause muscular tightness. Known stress is a definite contributor to most chronic pain conditions. However, subconscious and repressed stress might actually be the primary cause of the pain in some patients and a far more damaging contributor in others. Most people suffer a flare up and react with fear, which always increases muscular tightness and overall anxiety level. This reaction, in turn, increases the already severe symptoms even more. We know that it is virtually impossible to remain calm when faced with such a dreadful degree of pain, but this is the exact advice that is offered by leaders in chronic pain care. It has been proven that patients who can remain calm, and not get overly upset over acute episodes, will suffer shorter durations of pain and more importantly, suffer fewer flare ups over time. If the symptoms are new and warrant attention, then try to remain calm while seeking qualified care. If the pain is a regular occurrence, patients might be best off not changing much in their lives during these episodes. In fact, many doctors report patients recover faster, if they do not worry too much and do not confine themselves to bed or a sedentary lifestyle when faced with these frighteningly debilitating trials. We certainly know that all this is far easier to say, than to do, especially when faced by the worst pain possible. However, when no other choice remains but to suffer anyway, why make things worse for yourself? Try to rein in those fearful emotions and calmly seek help, if needed. We have used this exact recipe with excellent results and continue to utilize this valuable advice to this day. We find that not investing too much emotion in the escalation of pain will shorten its duration and overall severity to a large degree. We hope that you can discover the same positive results.